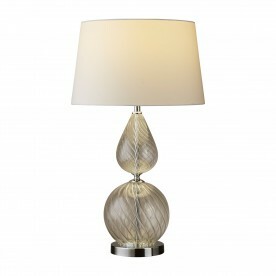 Bring style to any area of your modern home using this ribbed glass base table lamp. 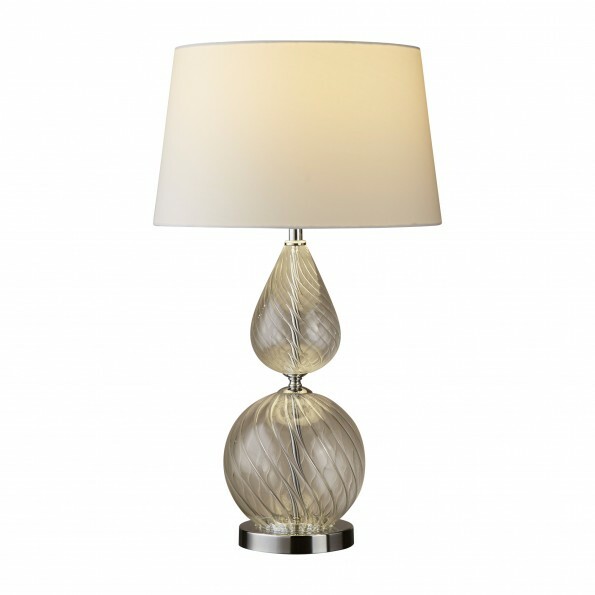 There are two curved and ribbed sections of the body which are divided by chrome detailing, for a sophisticated finish. The attached cream shade is large and allows for a soft light to be emitted.